You don’t need a calculator to know NFL teams have been racking up points this season. When an accent on passing meets an disproportionate number of open-gate secondaries, this is what happens. 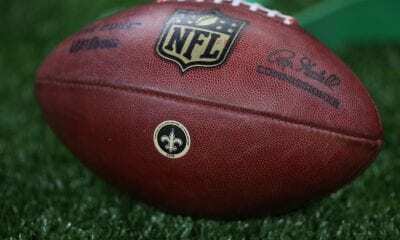 There is little doubt the ball will be flying when the Minnesota Vikings and New Orleans Saints meet Sunday night. 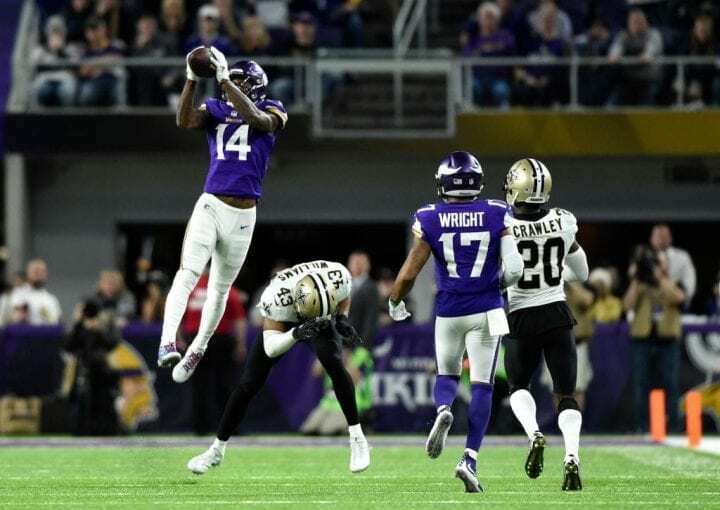 When last we left this rivalry, Vikings receiver Stefon Diggs was choreographing the “Minnesota Miracle” that beat the Saints in the NFC Divisional round last season. But now, the cast has changed. The object of Kirk Cousins’ affection is Adam Thielen, who has turned into the league’s top wide receiver. 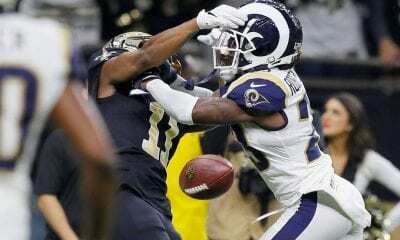 And there is no reason to expect Vikings won’t try exploiting that, even though the Saints fortified their secondary this week acquiring former first-round pick Eli Apple from the Giants. Then again, Giants fans might disagree with that. If Thielen has another 100-yard game he will become just the second to have eight straight games with 100-plus yards receiving at any point in a season in NFL history. This week, Thielen credited former Vikings’ QB Teddy Bridgewater, now Drew Brees’ backup in New Orleans, for helping him develop. The two were together from 2014 until the Vikings released Bridgewater during the preseason. The Saints, who have won five straight, are coming off a big victory at Baltimore, albeit one sealed by the wind gust that blew a game-tying extra point wide right at the gun. They have built a reputation this season for late comebacks – they trailed the Ravens by 10 – by scoring 88 points in the fourth quarter and overtime, the most through six games of any league team since 2002. No player has more pressure on him this week than Jacksonville quarterback Blake Bortles. He hasn’t been playing well, the Jags are spiraling and their defense is looking at him like a tiger might a baby boar. The Philadelphia Eagles are intent to make sure the mistakes keep on happening. 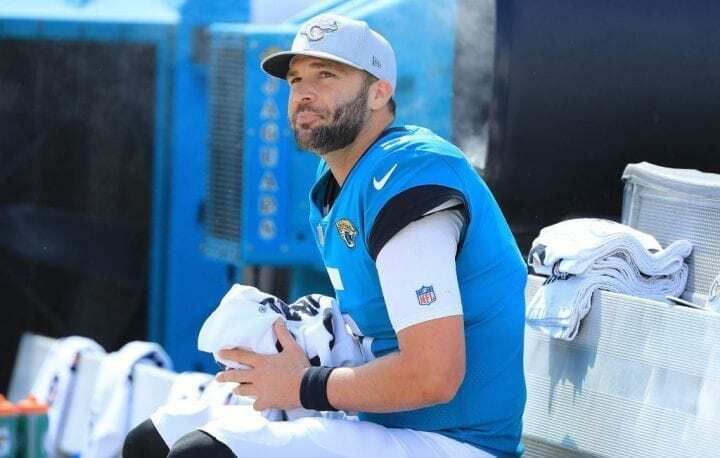 Bortles has had a miserable three weeks and he was finally benched for Cody Kessler last Sunday after fumbling early in the second half of a 20-7 loss to the Houston Texans. By then, Bortles had been responsible for eight turnovers in 10 quarters, including four interceptions. The Jaguars, outscored 90-28 in the last three weeks, haven’t scored any first-half points in losses to the Kansas City, Dallas and the Texans. But Jags coach Doug Morrone decided to let him start this week. The Jags have been hit by injuries that have sidelined players like Leonard Fournette, their top halfback. They picked up Carlos Hyde from Cleveland this week to help compensate. But another loss would drop the Jags (3-4) two games behind the Texans in the AFC South. As for the Eagles, they need to get their offense moving. They have punted after three-and-outs nearly 25 percent of the time this season which had put incredible pressure on their defense. Three Jags corners will not play this week, so look for Carson Wentz to take advantage of it. The Giants moved two defenders this week short of the trade deadline, trading Apple to the Saints and lineman Damon “Snacks” Harrison the Detroit Lions. We get the point. But Eli Manning remains to face the Washington, first in war, first in peace and first in the NFC East. And if he thinks Saquon Barkley may help him this week, remember that the Redskins defense has held Zeke Elliott and Christian McCaffrey to 54 yards in the last two weeks. The Giants defense really hasn’t been that bad. It’s rated 18th in the league and you might suspect a 1-6 team would be much worse than that. But not only will they be without Apple and Harrison, but middle linebacker Alec Ogletree will not play because of a hamstring. Ogletree is second on the team with 48 total tackles and tied for second with three tackles for a loss. As it is, the defense has already allowed teams to score on 46.8 percent of their drives. We can only imagine how Bill Parcells and Tom Coughlin would have reacted to that. There is immense pressure on the Giants to turn things around. They are 4-19 since the start of 2017 and one more loss will make them officially as irrelevant as the New York Mets. 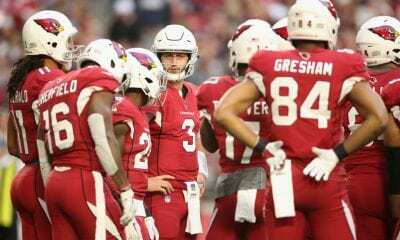 If you subscribe to the theory that Rodgers, when healthy, is the best QB in the NFL – and it’s OK if you do – you have to feel sorry he won’t have the chance this season to work with on offense as on-point as the Los Angeles Rams. The Rams (7-0) are the only unbeaten team in the league, the only offense in the NFC no one has been able to quiet. They have a QB, Jared Goff, who played college ball at Cal, the same program than spawned Rodgers. But Goff has Todd Gurley. He has Brandin Cooks, Cooper Kupp and Robert Woods. Rodgers has Jamaal Williams. He has Davante Adams and banged-up second and third options. What makes this game even more problematic for the Packers, who are coming off their bye, is that Rodgers is still limping and Rams defensive tackle Aaron Donald can smell the blood. Donald had four sacks last week and you get the sense he is just warming up. Detroit is Tiebreaker.com’s favorite NFC team, not because of their potency, but because of the grit. We only wish Matt Patricia would shave that dopey beard. Its not as gross as Eric Weddle’s, of course, but we wish the Lions had a dress code like the Yankees do. The boss looks sloppy. A boss shouldn’t look sloppy (see: Abe Gibron). Detroit plays Seattle this week and both teams have won three of their last four. If you saw the Lions-Jets game in Week 1, you might find that incredibly hard to believe. But winning breeds confidence and belief and Lions seem to be under Patricia’s spell, job one in the process of rebuilding the team. The Lions needed help stopping the run. Harrison reminds us a little of Vince Wilfork, the block of granite that clogged the middle of the defenses Patricia helped mold with the Patriots. Feed Harrison ballcarriers – his nickname is Snacks, remember – and he will make his coach smile.